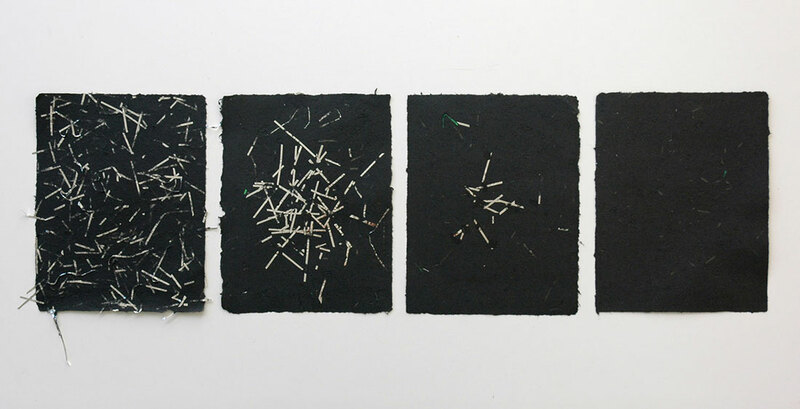 The Eve Of..., 2014–2015, mixed media. 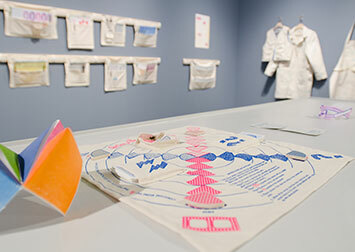 Installation views at Portland ‘Pataphysical Society and PDX Contemporary, Portland, OR. 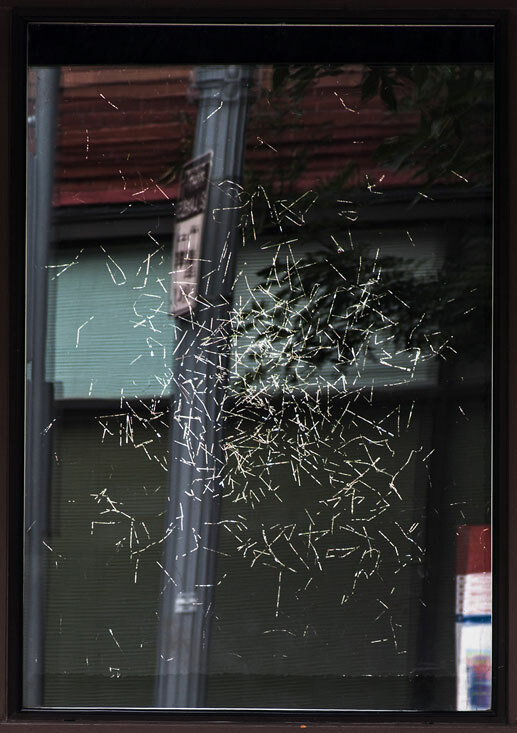 // Windows and Miniature Windows, Christine Wong Yap, c3:studio residency, c3:initiative, Portland, OR, May–June, 2015. Artwork © Christine Wong Yap. All rights reserved. 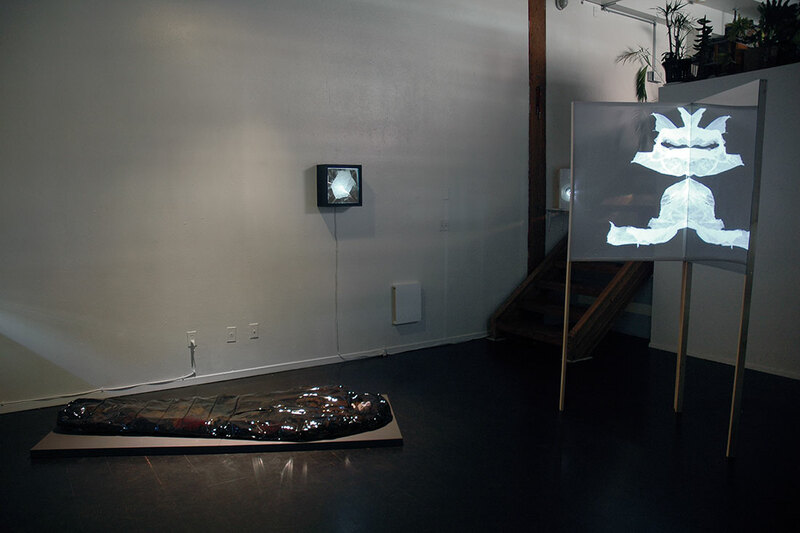 Projection (installation view at Portland ’Pataphysical Society), 2014, video installation: video, wood, fabric, acrylic, TRT 7:14; 80 x 32 x 32.125 inches / 203 x 81 x 82 cm. 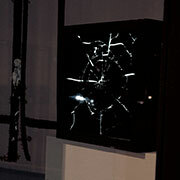 A stop-motion animation is rear-projected onto a screen adjacent to a mirror, resulting in inkblot-like imagery. 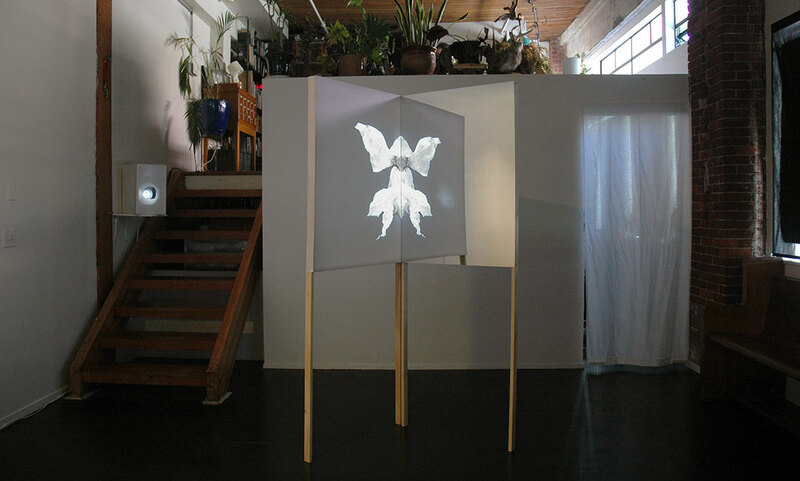 The Eve Of..., installation view at Portland ’Pataphysical Society, Portland, OR, 2015. 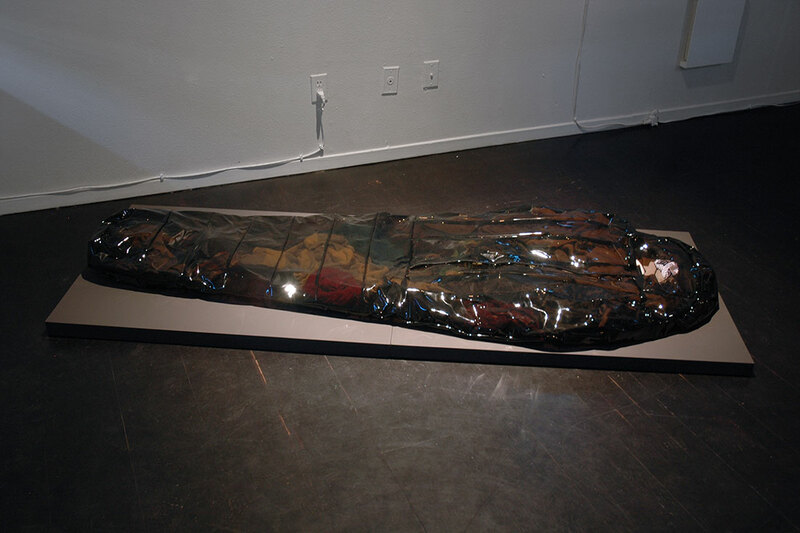 Mummy Bag, 2014, vinyl, thread, discarded clothing, 5 x 80 x 29 inches / 13 x 203 x 74 cm. 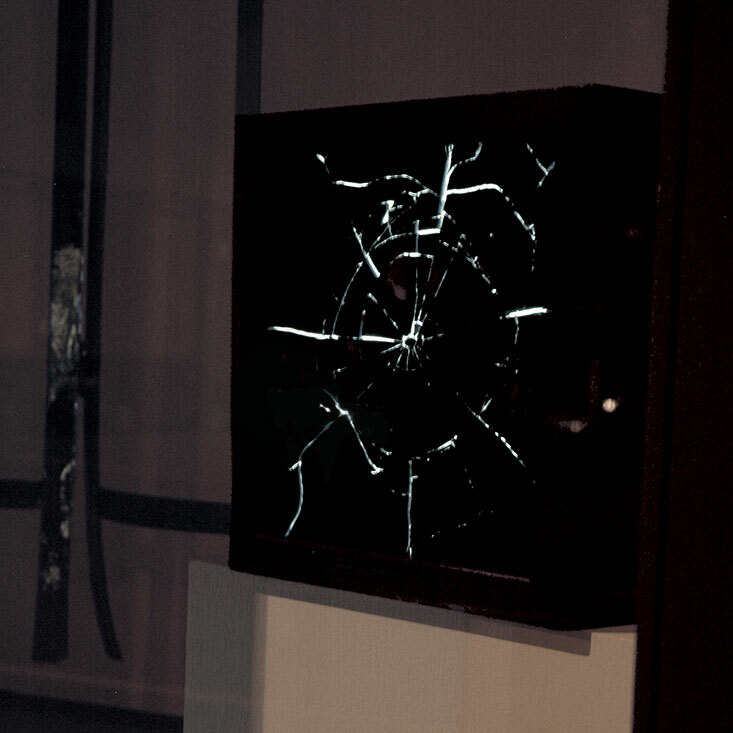 Mirror #2, 2014, 13.625 x 13.625 x 5.5 inches / 34.6 x 34.6 x 14 cm, wood, asphalt-based coating, light, acrylic, Mylar, window tint. Window #1–4 (interior view), handmade paper: cotton rag, silver Mylar, cellophane, ~57 x 43.5 inches each, unique. 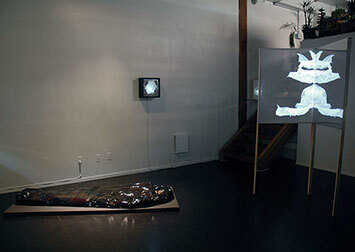 Installation view at Portland ‘Pataphysical Society, Portland, OR. 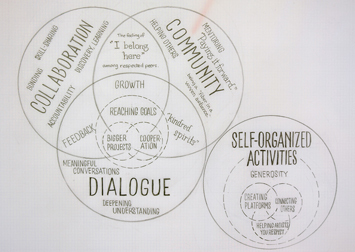 // Supported by a c3:studio residency, c3:initiative, Portland, OR, May–June, 2015. 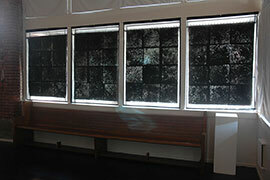 Window #1–4 (exterior view), handmade paper: cotton rag, silver Mylar, cellophane, ~57 x 43.5 inches each, unique. 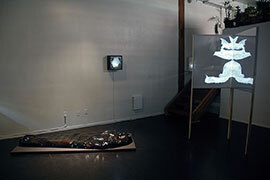 Installation view at Portland ‘Pataphysical Society, Portland, OR. // Supported by a c3:studio residency, c3:initiative, Portland, OR, May–June, 2015. Window #1. Photo: Matthew Gaston. 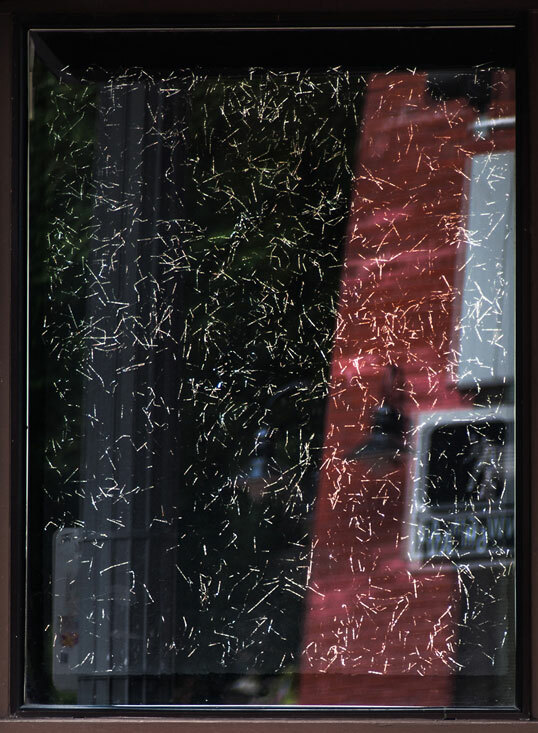 Window #2. Photo: Matthew Gaston. Window #3. Photo: Matthew Gaston. 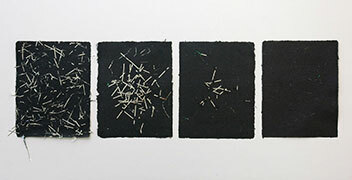 Miniature Windows #1–4, 2015, handmade paper: cotton rag, silver Mylar, iridescent and clear cellophane, 8.5 x 11 inches each, edition varie of 8. 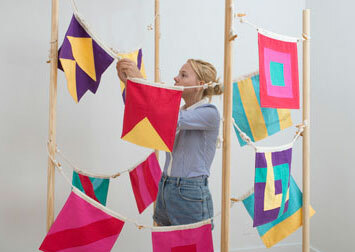 // Supported by a c3:studio residency, c3:initiative, Portland, OR, May–June, 2015. Mirror #4, 2014, wood, asphalt-based coating, light, acrylic, vinyl, 13.625 x 13.625 x 5.5 inches. 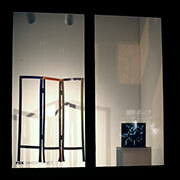 Installation view in window at Portland ‘Pataphysical Society, Portland, OR. 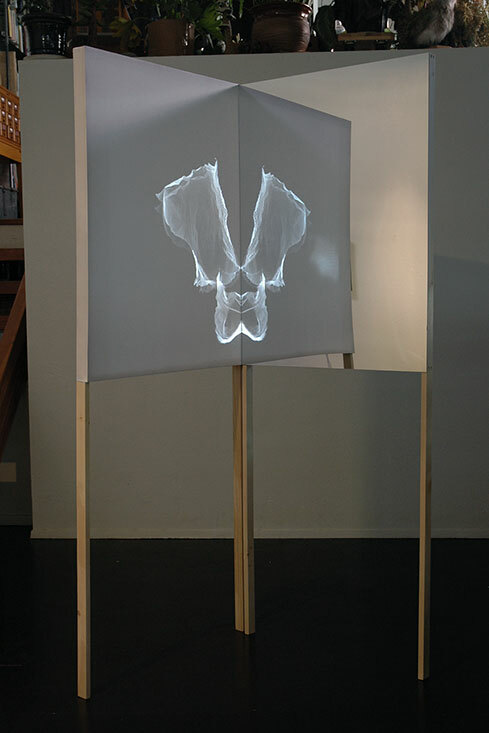 Folding Screen and Mirror #1, 2014, vinyl / wood, asphalt-based coating, light, acrylic, mirror, 54 x 37 x 7 inches / 13.625 x 13.625 x 5.5 inches. 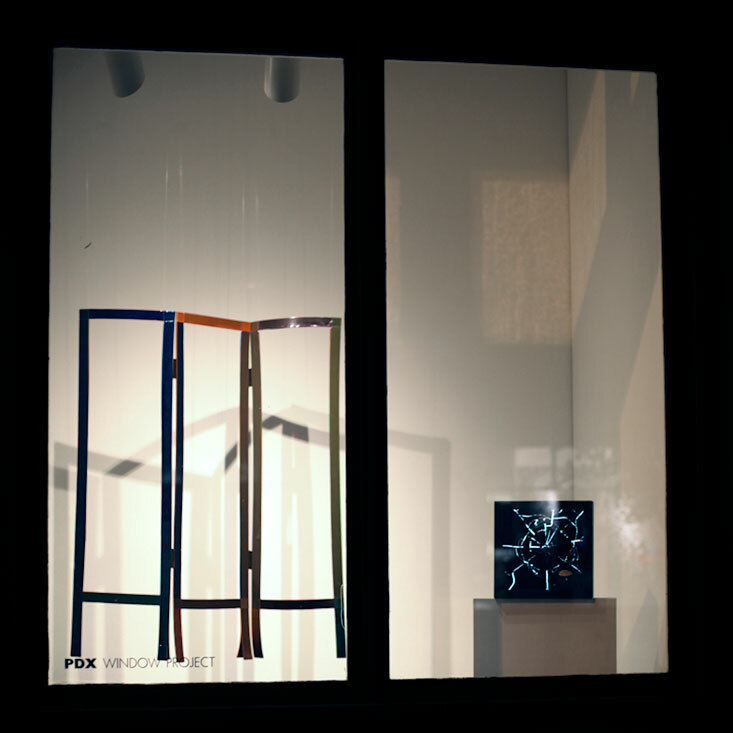 Installation view at PDX Contemporary windows, Portland, OR. Photo: Gwendolyn Courtney. 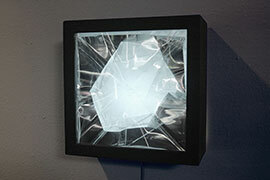 Mirror #1, 2014, wood, asphalt-based coating, light, acrylic, mirror, 13.625 x 13.625 x 5.5 inches. 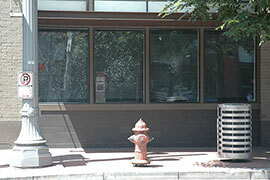 Installation view at PDX Contemporary windows, Portland, OR. 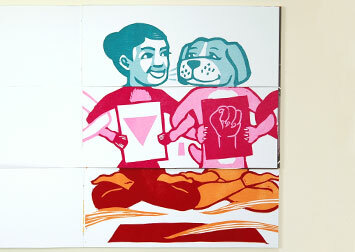 The project is inspired by the decisive moment after setbacks and before actions. The Eve of… Recent works by Christine Wong Yap was on exhibit at the Portland ’Pataphysical Society, with a satellite window project at PDX Contemporary, and was presented in partnership with c3:initiative and Portland State University. 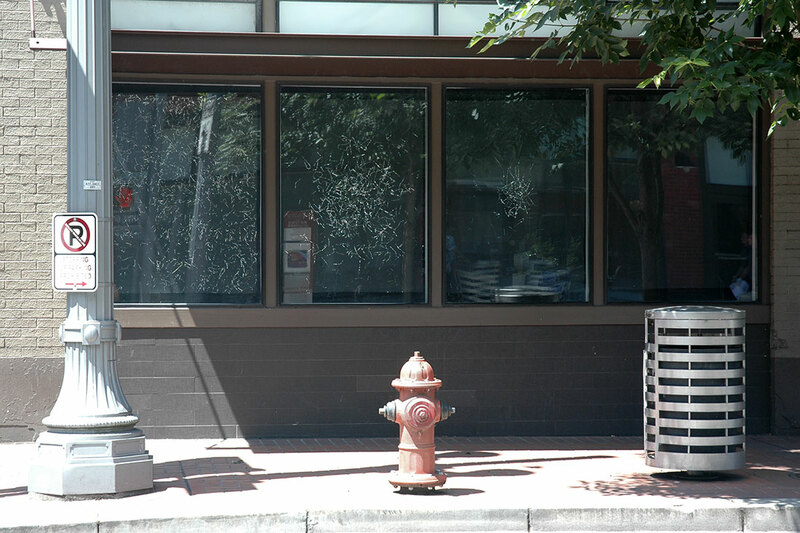 Read Jeff Jahn’s “First Thursday Picks, June 2015” on PORT/PortlandArt.net (June 4, 2015). 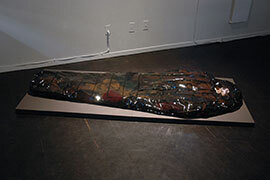 Caption: Christine Wong Yap, The Eve Of..., 2014–2015, mixed media. 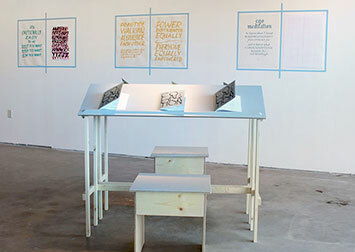 Installation views at Portland ‘Pataphysical Society and PDX Contemporary, Portland, OR. 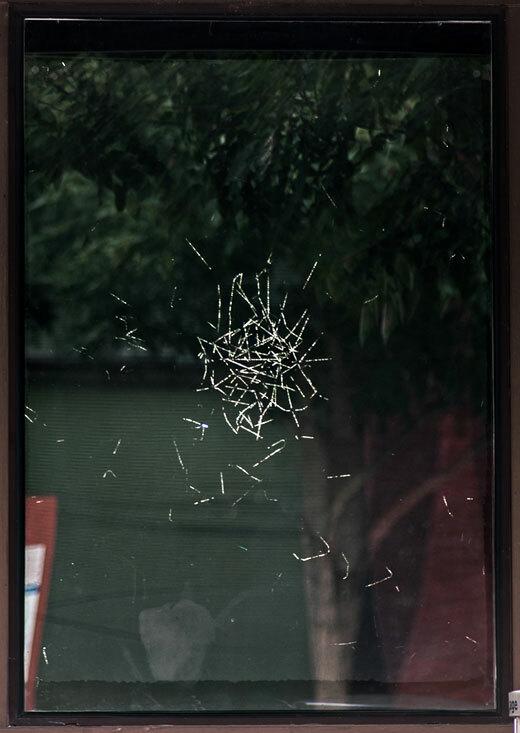 // Windows and Miniature Windows, Christine Wong Yap, c3:studio residency, c3:initiative, Portland, OR, May–June, 2015. Artwork © Christine Wong Yap. All rights reserved. 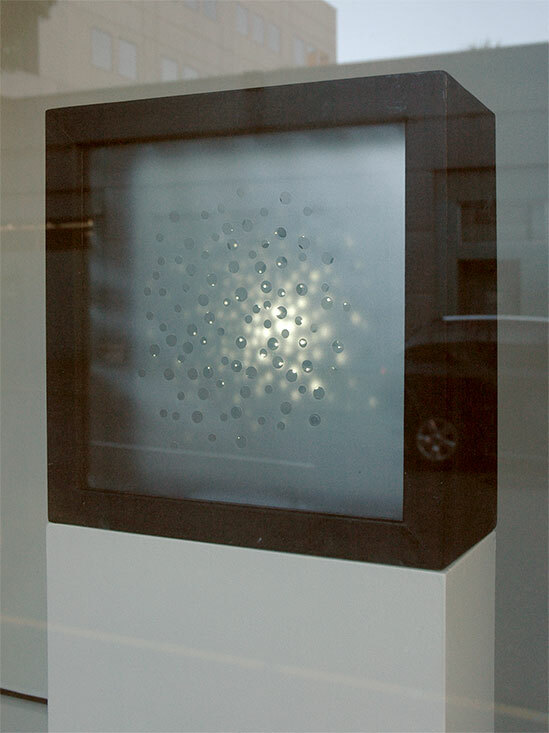 // Photo of window at PDX Contemporary: Gwendolyn Courtney. 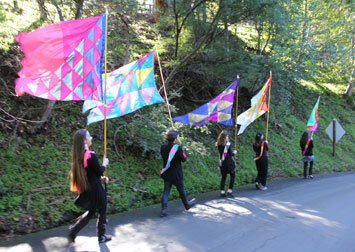 Thanks to Josephine Zarkovich and David Huff at Portland ‘Pataphysical Society; Shir Ly Grisanti and Erin Mallea at c3:initiative; Jenn Woodward at Pulp & Deckle; Caitlin and James at PDX Contemporary; Devan, Gwendolyn Courtney, Matthew Gaston, and Jonathan.